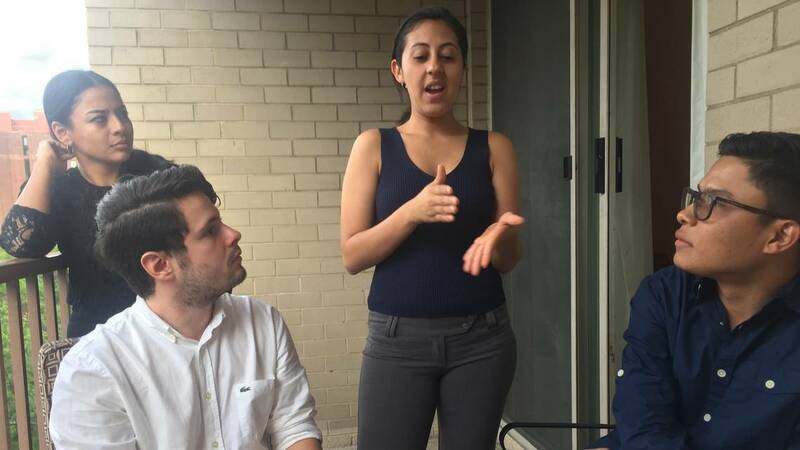 University students have emerged as the most potent opponents to Nicaraguan president Daniel Ortega and this week, three of them are visiting Washington to ask for help from U.S. President Donald Trump and Congress in toppling the autocratic leader. These include classmates of Zayda Juniette Hernández, a 24-year-old chemical engineering student and one of the most outspoken leaders in the unexpected student movement — the biggest threat to the Ortega presidency since he was re-elected in 2007. Hernández is joined by Victor Cuadras, 25, a chemical engineering student leader of the 19th of April Student Movement and Fernando Jose Sánchez, 20, a communication student, in Washington this week seeking the help of Trump and members of Congress to build international support. A senior administration official told McClatchy the United States is not directing the student’s efforts but supports their efforts. They also must be careful in how it shows its support given the Ortega’s past accusations of U.S. imperialism. The students are meeting this week with, Ambassador Michael Kozak of the State Department’s Bureau of Democracy Human Rights, and Labor and USAID administrator Mark Green. In an interview with McClatchy, Green said he was inspired by the students’ courage and passion to confront the brutality that, in his view, has cast a “dark cloud” over Nicaragua. Green said he’s particularly concerned by new allegations this week by the Nicaraguan government against civil society activists, such as Felix Maradiaga, director of the Institute of Economic Studies and Public Policies, and journalist Anibal Taruna, as well as the jailing of human rights defenders. During a Monday night reception with foreign ministers across the hemisphere, Vice President Mike Pence called on allies to unite against “the terrible violence” in Nicaragua. “The violence must end, and the violence must end now,” said the VP. Among a short, but strategically targeted list of requests that they believe are key to their success, the students want the Trump administration’s public, private and diplomatic support for new, independent presidential elections in Nicaragua by the end of the year.